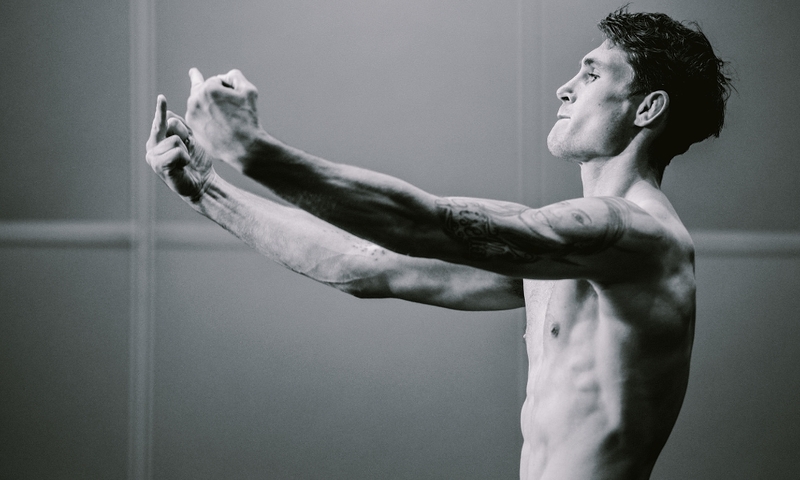 Darren Till’s rise to championship contention in the UFC has been a remarkable one, but the proud Scouser is anything but an overnight success. In fact, he’s taken the road less travelled to get to this pivotal point in his mixed martial arts career. After being stabbed twice in the ribs during a bar fight in his home town of Liverpool, Till’s coach at the city’s Kaobon gym, Colin Heron, intervened and offered his young charge the chance of a fresh start. In Brazil. Through a friend of Heron’s, Till started a new life in South America, living and training for four years in Brazil and building an impressive 12-0 MMA record, as well as experience in a host of Muay Thai bouts. By the time I met Till for the first time in October 2015 in Dublin, he’d already made a splash in the UFC, smashing Wendell Oliveira with elbows on his octagon debut after stepping in at short notice at UFC Fight Night in Goiania in May. Till, then a fresh-faced 22-year-old, was the highest placed Englishman on the card for UFC Fight Night: Holohan vs Smolka and, while chatting to him at media day, he told me that he was going to be the first British fighter to win a UFC world title. Sometimes you hear fighters making bold predictions and you go away wondering whether they’re trying to convince you, or themselves. But with Till, it felt different. He spoke with a clarity and conviction that made you believe what he was saying. Dare I say, it was McGregor-esque. He drew with Nicolas Dalby in that fight in Dublin, surviving a blistering final-round comeback from the former Cage Warriors welterweight champion while fighting with a dislocated shoulder. It remains the only blip in his undefeated 18-fight professional career. Till’s shoulder displacement required surgery that saw his career take an unscheduled 19-month hiatus and during that time, British MMA legend Michael Bisping knocked out Luke Rockhold to capture the UFC middleweight title and beat Till to that “first British UFC champion” honour. But the Liverpudlian’s desire to capture championship gold continued unabated, and he returned with a vengeance in 2017 to score a hat-trick of wins that propelled him into the spotlight. He outpointed Jessin Ayari in Stockholm, then followed up with a unanimous decision win over Bojan Velickovic in Rotterdam. That led to Till’s first UFC main event in Gdansk, Poland in October 2017, where he faced a bona-fide octagon legend, Donald ‘Cowboy’ Cerrone. Standing at six feet tall with broad shoulders and with the sort of thick-set legs that come with being a seasoned Muay Thai fighter, Till is a colossal welterweight, and after he badly missed weight for the Ayari fight in Stockholm, people started to take more interest in whether the rangy Scouser could maintain his fitness and form at 170lbs. So you can imagine my surprise when Till arrived in the hotel bar in Gdansk, a plastic cup of Coke in hand, at around 10:30pm the night before the weigh-ins. I asked him across the bar if his beverage was of the diet or regular, full-fat variety, he shouted back “Full-fat, mate!” raised the glass to toast us, and downed it with a grin. He made weight with ease hours later and went on to destroy Cerrone on fight night, putting away the seasoned veteran with a nerveless display of a man who was completely at ease with his surroundings and confident that his skills belonged at that level. “Darren Till shocks the world!” proclaimed UFC play-by-play man John Gooden at the time, but there was one man who wasn’t shocked in the slightest: Till himself. The win made the wider MMA world sit up and take notice. The British prospect was now a serious contender, and he was matched with the one man that seemingly nobody else in the division wanted to fight, two-time title challenger Stephen ‘Wonderboy’ Thompson, whose karate-based kickboxing style had seen him score a string of highlight-reel wins, including a knockout of the future middleweight champion Robert Whittaker and former welterweight belt-holder Johny Hendricks. ‘Wonderboy’ had taken defending champion Tyron Woodley all the way to the scorecards twice in successive bouts, but came away with a draw and a majority decision defeat as his title tilts fell agonisingly short. And despite a subsequent win over fellow contender Jorge Masvidal, the proximity of his tight, tactical tussles with Woodley meant the UFC weren’t keen on throwing him back in for a third shot so soon. Instead, they matched him with Till, and the stage was set for a remarkable night in Liverpool as Till delivered the goods with a superbly controlled performance to shade a razor-close decision victory on a night to remember at the Echo Arena. But the events on Merseyside weren’t without their dramas, as Till missed weight for the second time in his career, forcing the UFC to come to an agreement with Thompson to contest the bout at an agreed catchweight, with Till forced to negotiate a second weigh-in on the morning of the fight. There were extenuating personal circumstances that contributed to Till’s missed weight against Thompson, but he refused to use it as an excuse, and accusations of disrespect were equally off-beam, as illustrated by Till’s suggestion that ‘Wonderboy’ remained ahead of him in the welterweight pecking order, despite the fact he’d just defeated him. With the weigh-in issues put behind him, the stage was set for Till to produce the goods and show the world that he was a star in the making. Till’s previous entrance music, Phil Collins’ ‘In The Air Tonight’ was binned for something more uplifting for his home town crowd, and it had the desired effect. The packed crowd in the Echo Arena to get to their feet and belt out every word of the Neil Diamond classic “Sweet Caroline” as their hero led the singing from the prep point. It was a goosebump-inducing moment. 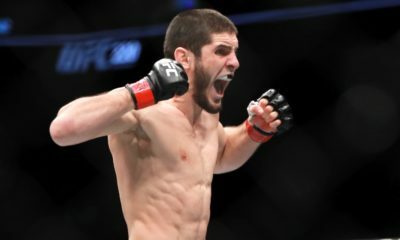 He’d negotiated his weigh-in issues and made it to the octagon in one piece, but Till still had to deliver in the cage against the UFC’s number-one welterweight contender. And while he may not have delivered the highlight-reel finish his fans were hoping for, we arguably learned more from his closely-contested unanimous decision victory. We found that Till had the stand-up skills, both offensively AND defensively, to hang with the man dubbed by some as the best striker in the sport, and we also saw that he had the mental strength to stick to his gameplan and not get frustrated by Thompson’s feinting, elusive, counter-attacking style. But most importantly, that night proved that Till belonged at the UFC’s top table, and even though he humbly spoke after the fight of not believing that he deserved the next shot at Woodley’s UFC welterweight title, that’s exactly what he received later in the summer. The day after Till’s win Britain’s first (and so far only) UFC world champ Bisping announced his retirement on his podcast, effectively passing the torch to Till in the process. With Till now an undoubted star and set to become only the third Brit to challenge for a UFC title, the timing seemed apt. When it was announced that Till would be the next challenger for Woodley’s belt at UFC 228 in Dallas this weekend, there was uproar from various quarters, with Till’s missed weight in Liverpool cited by some as the big reason why he couldn’t be trusted to make it to fight night on weight for a pay-per-view main event. But he proved those doubters wrong by coming into Friday’s weigh-ins a full pound under the championship limit of 170lbs, raising a pair of middle fingers in defiance as his weight was read out. Ironically, it was Woodley who had a minor scare on the scale, with the defending champion needing a second attempt, and the removal of his underwear, to make championship weight. And when the pair faced off at the ceremonial weigh-ins, Till set out the challenge that laid ahead of him and promised to take the fight to the champion. “The biggest night, the biggest fight, the biggest test against one of the best to ever do it in the welterweight division,” he stated. While Till seems laser focused and ready, Woodley was stone-faced and steadfast in his belief that he’ll turn back the challenge of the British contender. “Another young challenger is going to attempt. Many have tried. Many have been denied,” he said. The doubts over the weight have been and gone and the time for talking is over. Till has proved his ability to take on and beat some of the best in the world. Now he faces the world champion, and a nation waits to see if he can bring the belt back home for only the second time in UFC history. It only seems apt that if Liverpool’s Till wins the title on Saturday night, it will happen in his seventh UFC bout.